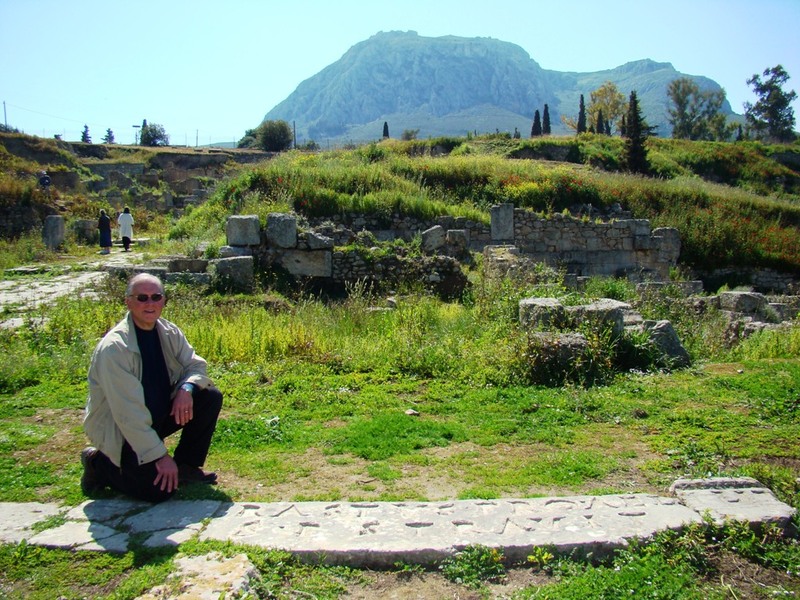 In 1929 an inscription was discovered at Corinth naming an Erastus as the one who paid for the paving of the street. The inscription reads “ERASTVS. PRO. AED. S. P. STRAVIT” which is translated, “Erastus in return for his aedilelship laid [the pavement] at his own expense.” It would seem that the Erastus of the inscription is the same as the one mentioned in the biblical text. Leon Mauldin at the Erastus Inscription. Photo by Johnny Felker. This entry was posted on Tuesday, December 14th, 2010 at 2:26 PM and is filed under Bible History and Geography, Bible Study, Greece. You can follow any responses to this entry through the RSS 2.0 feed. You can leave a response, or trackback from your own site.